Most of my papers are 100% recycled. No virgin pulp is used in producing them. Below you can find the 'eco' credentials of the different papers. 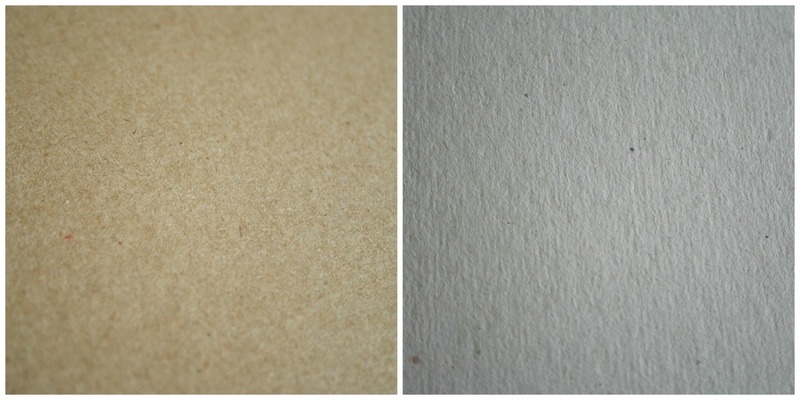 Eco-natural (grey/off-white) is a bit softer - 300gsm (seen on the right). 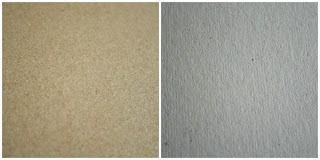 An amazing Bavarian image paper with visible authentic ingredients: brewer grains from the mash. Chlorine-free cellulose and FSC® certified (the FSC label ensures that the forest products used are from responsibly harvested and verified sources). One side is smooth and the other is very slightly textured. 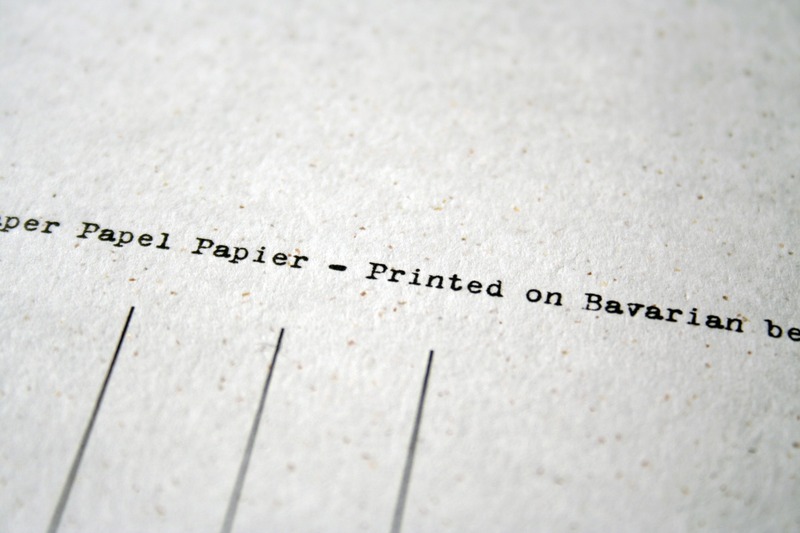 Our beer paper is available in one colour called 'Weizen' (off white). I also offer matching recycled envelopes for most of these papers. I LOVE custom orders. (Almost) nothing is too much trouble. Please contact me and I will be happy to work with you or help you in any way I can.